For years, gun right advocates have said universal background checks are a failure. We've made it very clear that the National Instant Criminal Background Check System (NICS) has failed time and time again because states fail to report 100 percent of their criminal convictions to the FBI. Expanding a failed system isn't going to suddenly make it work better. If anything, it's just going to expand its failure. 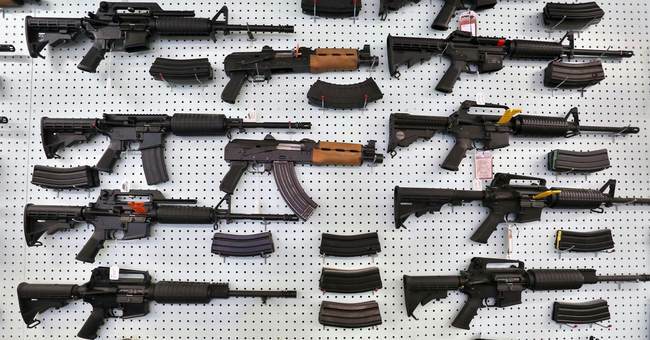 In a rather shocking turn of events, the super leftist news outlet Vox admitted universal background checks are a failure...and Democrats need to move on. Congressional Democrats on Tuesday introduced a bill that would move toward universal background checks — legislation that, while unlikely to make it through the Senate, signals that Democrats are putting guns at the forefront of their agenda. But a growing body of research suggests that comprehensive background checks alone won’t do much, if anything, to combat gun violence in America. For years, the proposal — for universal or comprehensive background checks — has been the top item on gun control advocates’ wishlist. It polls extremely well among gun owners, people who don’t own guns, Democrats, Republicans — basically everyone. And it certainly makes sense: If there’s a loophole that potentially lets criminals get guns, why not close it? But several studies released in the past year now suggest that enacting comprehensive background checks alone would have a very limited effect on US gun deaths, whether homicides or suicides. Vox even cited a study conducted by the Violence Prevention Research Program (VPRP) at UC Davis and the Johns Hopkins Bloomberg School of Public Health to determine the impact California's gun control laws have had on homicide and suicide rates over the last 10 years .The result? The Golden State's gun control laws had absolutely no impact. Nothing changed. The ironic part is the outlet tried spinning the study to say it's the implementation – not the background check system itself – that's the problem. The argument that Webster and other researchers are now putting forward is not that background checks don’t work at all. But the way these policies have traditionally been implemented aren’t working as well as supporters would hope. And even if background checks can act as a foundation for other changes, the evidence increasingly suggests that other policies — such as a system that requires a license to buy a gun — may be necessary to really tackle America’s gun violence problem. Requiring a license to buy a gun is moronic. You know why? Because all they're going to do is create a piece of paper for you to carry that's issued based on NICS. It's basically what a CCW does. And guess where the information comes from? You guessed it...NICS. But, it's interesting to hear them say what gun owners have been screaming about for years. There are also huge problems with the enforcement of background checks. For one, the FBI’s background check system is notoriously underfunded and understaffed. Coupled with the limited maximum time that a background check can take — three days — this can lead to some problems slipping through the cracks. One prominent example is Dylann Roof, who killed nine people at a predominantly black church in Charleston, South Carolina, in 2015. Roof should have failed a background check for a handgun purchase after admitting to illegally possessing controlled substances in the past, but the FBI examiner did not obtain the shooter’s record in time. With more time and resources, this shooting could have been prevented. There are also issues with reporting, meaning the data that background checks actually check. As one example, the gunman who killed 26 churchgoers in Sutherland Springs, Texas, should have been denied from obtaining a firearm after he was convicted of two counts for assaulting his spouse and their child while he was in the Air Force. But the Air Force never reported the convictions to the national background check system. Similar problems happen at all levels of background checks, from states failing to report mental health histories to some previous crimes going unreported. Gun rights advocates have talked about this for so long. That's why the National Rifle Association and the National Shooting Sports Foundation came out in favor of the Fix NIS bill during the last Congress, which would have required semi-annual submissions of convictions. If the bill would have passed, we would have seen a more complete system. It's rather frustrating when gun owners and pro-gun groups aren't taken seriously about issues like NICS. It's the one area that we should all agree on. None of us want to see a criminal with a gun and if we're going to have this burdensome piece of legislation forced on us, the least the government can do is make the system as wholesome as possible. It makes no sense to expand as system that's severely flawed. The result will be the same: with prohibited possessors falling through the cracks. Democrats, it's time to admit it: this is a failed policy.